Originally all numbered 8 this property, built in the early to mid 18th century, was probably two dwellings, one of which was occupied by Mr John Ash in 1797. In 1830 it was acquired by William Plows, stonemason, who had previously occupied part of the premises. Behind the house and 5 feet below ground level, a short length of stone walling, probably medieval, was uncovered in 1960. 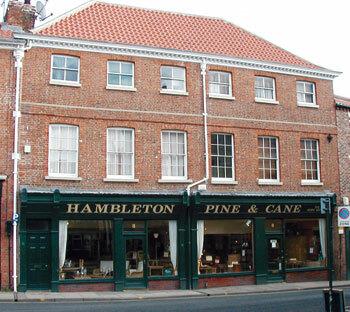 This property was acquired by the Trust in 1984 and is now occupied by a shop on the ground floor with residential flats above, which are combined with the Trust’s neighbouring property, No. 6.